Mattress Showcase has Memory Foam Mattresses Available for Your Stark County, Ohio Residence! Are you tossing and turning in your sleep? Can’t get comfortable? Are you haven’t trouble staying asleep or do you find yourself waking up with aches and pains for no good reason? If you’re suffering from any of these conditions, you may be in need of a new mattress. After a few years, our mattresses begin to break down from consistent use, and even flipping them doesn’t always help. If this situation arises, what you need is a new comfortable mattress from Mattress Showcase. Mattress Showcase in Stark County, Ohio has a variety of name brand mattress to choose from in their showroom. Try them out, find what best supports your spine and allows you to relax. One of their most popular items is their memory foam mattresses. However, have you heard of the new one’s that are gel infused? Englander, Simmons, and Symbol Mattress Company all offer these amazing new mattresses to help you obtain a good night’s sleep. If you live in Summit County, Ohio or Tuscarawas County, Ohio, be sure to drop by this Canton, Ohio location to find the mattress of your dreams! Do you have cabin fever? Been cooped up in your Akron, Ohio or Cuyahoga Falls, Ohio home with not a thing to do? Then it’s time to get out, shake off the winter blues and head to Canal Fulton Glassworks near North Canton, Ohio! Take in a piece of history as you visit one of Stark County’s oldest structures which has served as a commercial building since the 1820s! Shop the gallery and view over 3000 handmade art works by local Ohio artisans. Every medium of art is represented, including glass, jewelry, ceramics, furniture, paintings, prints, and turned wood. Plus, Canal Fulton Glassworks even offers glass and jewelry making classes so you can learn how to make your own glass paperweights, 3-piece jewelry sets and copper jewelry! Like most individuals this time of year, you’re probably looking forward to a nice tax refund check after your taxes are completed, imagining all the things you can use it towards. During this time, many are choosing to complete some of the home repairs they’ve been planning on but haven’t had the funds to do it until now. One such home repair may be that of obtaining a new furnace. If this is what you’re considering investing in this spring, contact All Type Heating & Cooling LLC in Canton, Ohio. All Type Heating & Cooling LLC has a variety of affordable new furnaces to choose from, including high efficiency furnaces that can save you money on your heating bill. However, you don’t always need to replace your furnace, sometimes all you need are a few minor furnace repairs that will save you more money than purchasing a brand new one. For a new furnace, repairs, or just a tune-up for your Hartville, Ohio or Alliance, Ohio home furnace, contact All Type Heating & Cooling LLC. With 365 days in a year, you can expect many of those days to be causes for celebration. People gather for birthdays, weddings, holidays, retirement parties, reunions, Super Bowl parties and more. Having so many gatherings to plan for can be stressful work, which is why it might interest you to learn that Up in Smoke BBQ can make your Canton, Ohio event a fun, hassle-free experience. Specializing in event catering for every possible occasion, Up in Smoke BBQ offers party planners the opportunity to customize their own menu. Whether you want finger foods for your baby shower, gourmet dishes for your wedding, or on-site barbecue for your Super Bowl party, Up in Smoke BBQ’s professional catering service can deliver. And it’s all in the comfort of your Green, Ohio or North Canton, Ohio home! Is eating out a dining experience to remember or is it the same old, same old from a chain restaurant in Massillon, Ohio? When it comes to choosing a restaurant with a dining experience that transports you from North Canton, Ohio to Asia with just a step through the doors, then you need to check out Li Asian Cuisine in Canton, Ohio! Offering Thai cuisine, Chinese cuisine, and Vietnamese cuisine, Li Asian has a variety of dishes that rival other Asian restaurant menus in the region. Don’t believe it? Then why not take a minute to learn more about their menu before visiting their Facebook page to see the customer feedback that past patrons have left? We’ve all heard about the hazards of microwaves through our local newspapers, online articles and even on some of our favorite daytime talk shows. But as busy as our daily lives are in Summit County, Ohio, who really has the time to waste on conventional cooking? It just so happens that Home Pure Innovations in Akron, Ohio has an alternative cooking method that could be just what you need to invest in for your Tallmadge, Ohio home, the Macrowave by Hot Logic. But when it comes to microwaves versus macrowaves, which one really is the safest means of cooking? Visit Audrey’s Attic in Orrville, Ohio in February for a Fun Home Décor Sale! You can often find discounted home furnishings at big box stores around the Dalton, Ohio and Wooster, Ohio areas, but Audrey’s Attic always has something new and unique to offer customers. From their fun community events to their extensive selection of beautiful home decorations, Audrey’s Attic is truly one of a kind. 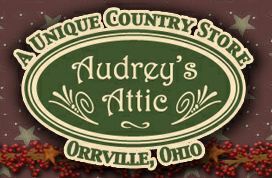 Every month there’s something going on at Audrey’s Attic in Orrville, Ohio, and February is no different! This month, this local country store is running a home décor sale that will test your bravery, your courage, and your sense of humor. This month features Audrey’s Attic’s Flip Flops in February sale! February may be the month of love as the most romantic holiday of the year just happens to be on the 14th, but for B Side Wine House in Canton, Ohio, it’s also a month filled with new products, upcoming events and much, much more. Not only does B Side Wine House have all kinds of custom gift baskets and new Ohio wines for you to share with your sweetheart, but this local wine shop is also kicking off this month by hosting their Mardi Gras event on Saturday, February 9th! This evening promises to be one of good food, fun, wine tasting, and live jazz music. If your schedule happens to be wide open, why not take the trip from your Canal Fulton, Ohio or North Canton, Ohio home to B Side Wine House and share in a wonderful night with your special someone? Advertise Your Stark County, Ohio Business with Mel Wacker Signs’s Vehicle Lettering and Decals! If you are looking for a way to advertise your business in Northeast Ohio, you should consider the prospect of using vehicle lettering. It may seem like a silly concept, but if you consider how many vehicles you pass in Stark County, Ohio as you drive to work, you might see displaying your company logo and number as a lucrative and affordable method of advertising. Mel Wacker Signs’ skilled technicians in Massillon, Ohio, offer a variety of services from custom made signs, flags and vehicle decals. Say Goodbye to Allergies, Odors and Bacteria with Home Pure Innovations’ Whole House Air Purifiers! When it comes to our health we know what to expect depending on the season. In winter, we can expect to suffer from the common cold and the flu, while in the spring, we stock up on antihistamines to battle those dreaded allergies. But what many of us don’t realize is that we could minimize many of our health problems by investing in an air purifier to help improve our Stark County, Ohio home air quality. Luckily for us, the experts at Home Pure Innovations in Canton, Ohio are knowledgeable on not only the benefits of clean air, but also on which air purifiers that would serve to safely purify the air of your Uniontown, Ohio home.